This past Christmas, I was trying to think of something special and creative that I could make for Tommy. I am a complete over shopper when it comes to gifts and I had already purchased him the "normal" presents; sweater, cologne, watch, etc...but I wanted to give him something different. 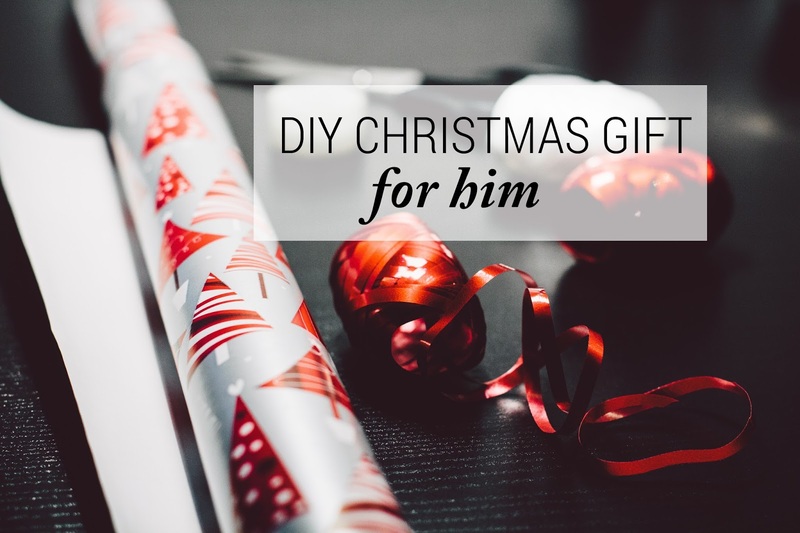 Let's be honest, guys are already hard enough to shop for (my gift guide: for him is here) so I was puzzled when it came to trying to decide what to craft for him. 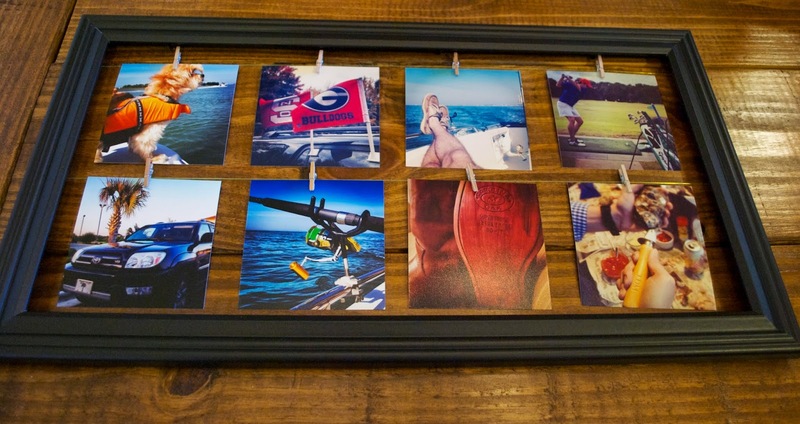 He has always said that he didn't have enough pictures at his desk at work, so I was trying to think of something picture related, something different than just a regular ole picture frame. I pride myself on being a somewhat good photographer (after 4 years, I'm definitely still learning how to use my Nikon) but to be honest, half the pictures on my blog, Tommy has been behind the lens. One look at his Instagram and you can tell that he has an eye for photography and artistic shots. This lead me to the idea of making him an interchangeable frame with some of his photos from Instagram. I've seen a few of these frames on pinterest before, but they all seemed a little feminine..nothing I really could see him displaying in his office at work. So, I brainstormed on making a more manly (if you will), picture frame display. 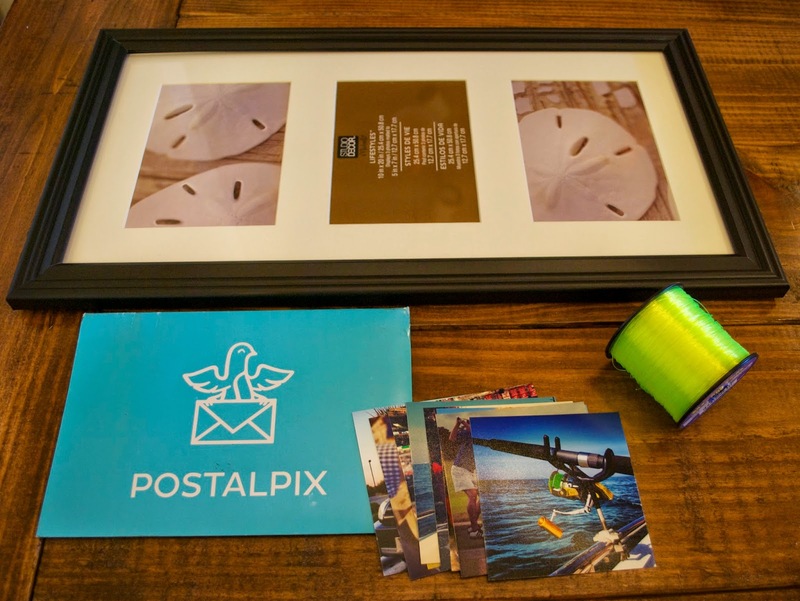 I ordered the Instagram prints from PostalPix, which is an iPhone app you can download and easily upload the pictures you want printed. I ended up ordering 24 4x4 square prints (which was around $8), 24 was way more than I needed but I wanted to have extra that he could swap out if he wanted. The ordering process was super easy and I got the pictures in the mail about a week later! The only other supplies besides the pictures that I needed were: 4 nails, mini clothespins, 10 x 20 frame, and fishing line (which T conveniently already had in his tackle box). 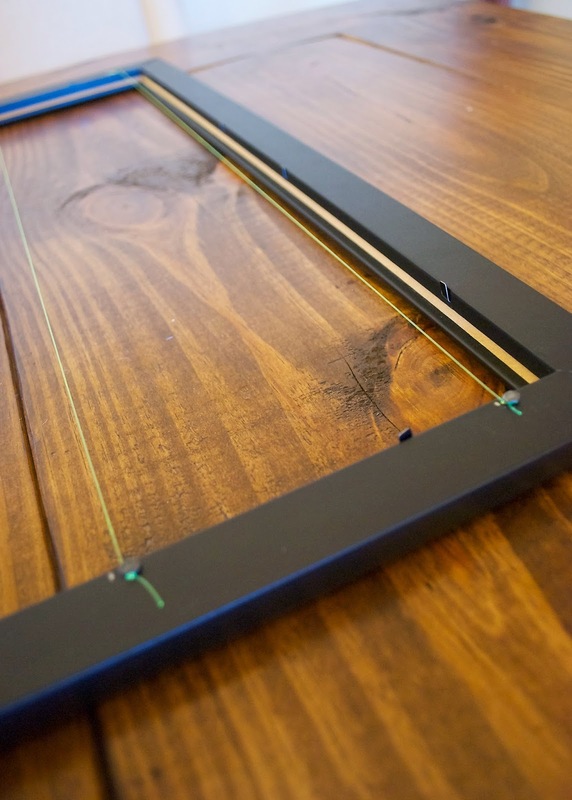 The process is fairly simple and even if you aren't crafty you could definitely pull this off! First step is to take everything out of the frame..glass, matte, etc. Then hammer in the nails and twist the fishing line around and tie a knot. 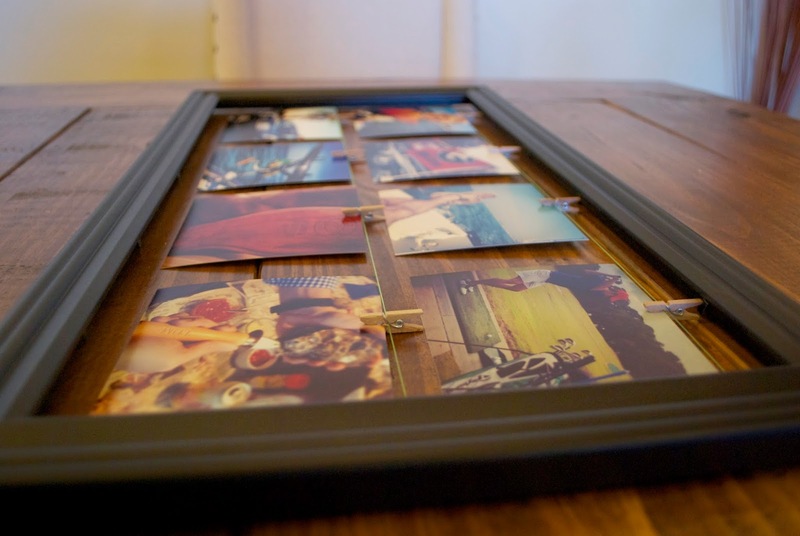 Then finally, hand your pictures with the mini clothespins. See, I told you it was super easy.